Nobody Is Perfect closed its doors for good in late July here on Fourth Street near Avenue B. "The gas in the entire building, including the apartments and the restaurant next to us, has been shut down for six months," proprietor Mario Carta explained in an email. 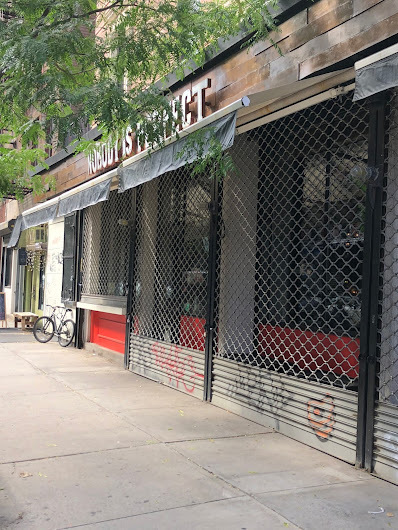 "We were unable to provide a decent menu to our customers during that period of time and that affected our business knowing that we were open for less than a year trying to build a clientele in the neighborhood." Carta, who also runs Pardon My French at 103 Avenue B and Chouchou at 215 E. Fourth St., opened the Italian restaurant in the spring of 2017. He also noted that the Community Board 3 denied their sidewalk cafe application that "could have helped us stay open." Nobody Is Perfect was the fifth restaurant to try this address in the past 10 years. B4 closed in June 2016 after nearly three years in business ... and previously Piccola Positano, Tonda and E.U. gave the space a go. You are never going to find a restaurant that racks up 40+ 311 calls WHILE NOT HAVING GAS SERVICE. E.U. got put through a nasty wringer when they were here. I remember it took them forever to get the liquor licenses that they wanted? The neighbors were intolerant of it altogether. Bad landlord + the neighbors don't want anything here. Forget the general location, just avoid it if you're starting a restaurant. Side streets in residential neighborhoods are always dicey anyway. Loud music, cheering and chanting at a restaurant brunch sounds like the stuff of literal bad dreams.